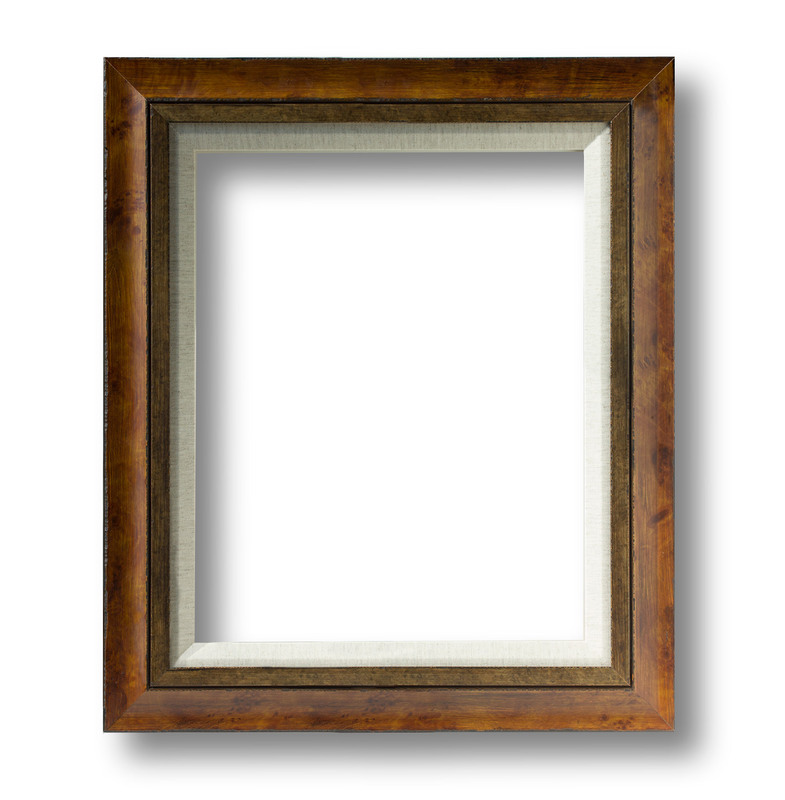 This frame is a rusty color with a brown interior. It measures 2 3/4″ with a 1 inch linen liner, making the total width of the frame 3 3/4″. This frame works well on many of our images and is especially nice on the Great Blue Heron.